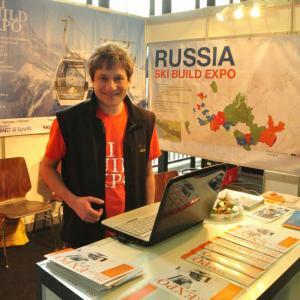 It is a great possibility of meet Anton Mizonov and find out more about Russia's Ski Build Expo (yes, we suppose you already know everything about Ski Build Expo from "Salon Expo" newsletter but meeting with the living person always better than the contact through the computer monitor). You want to know precise time and place? Write to lamm@skiexpo.ru - and we will inform you of the time and place of Anton Mizonov's presentation as soon as we have the information from our French perters (receiving side).